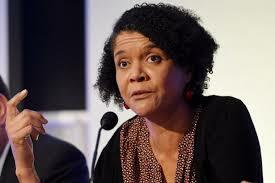 Nigerian-British Member of Parliament, Chi Onwurah, has been branded “shameful” for using the Duke of Edinburgh’s decision to retire to promote a campaign about pension inequality. According to a Telegraph report, Chi Onwurah, was forced to defend her decision to tweet about Prince Philip’s announcement after Conservative candidate Nadhim Zahawi called on her to apologise for the remarks. “Waspi” refers to the Women Against State Pension Inequality campaign which aims to highlight concerns that some women born in the 1950s will be forced to work longer than their peers. Mr Zahawi, the Conservative candidate in Stratford-upon-Avon, said he was “shocked” by the shadow business minister’s remark. Andrew Rosindell, Conservative candidate for Romford, added: “I am disgusted by the comments made by Jeremy Corbyn’s Labour candidate, Chi Onwurah, to imply Prince Philip is not a dedicated public servant. “Prince Philip has gone 30 years beyond retirement age carrying out hundreds of engagements every year across Britain and indeed the world. Her remark followed Prince Philip’s decision to announce his retirement from Royal duties later this year, although he added that he may still attend some events from time to time. He will be 96 later this year.